Surgeon and Rob sit down with a Crux Guild Corona and some scotch whisky. Logan and guest co-host Surgeon are going to sit down with Jeff from Crux Cigars. 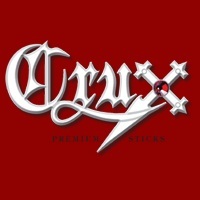 They'll talk about the new Crux Sports and catch up to see what's going on with the guys from Crux! You know there's going to be giveaways so get your questions in through the Q&A app! Rob interviews Joel with Crux Cigars about all the new happenings at IPCPR 2015. We chat with Crux for the first time. We talk about their launch into the market this year and breakdown all of their current lines.